Although chipmunks are native to woodlands, they thrive in suburbia. 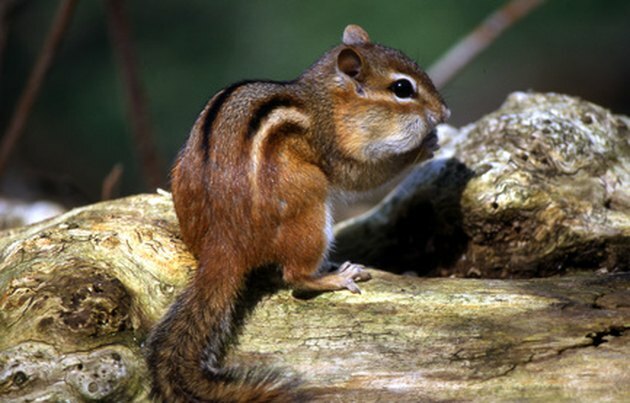 The Ohio State University Extension calls the eastern chipmunk "one of the most common wildlife nuisances." If present in large enough numbers, chipmunks can cause structural damage. 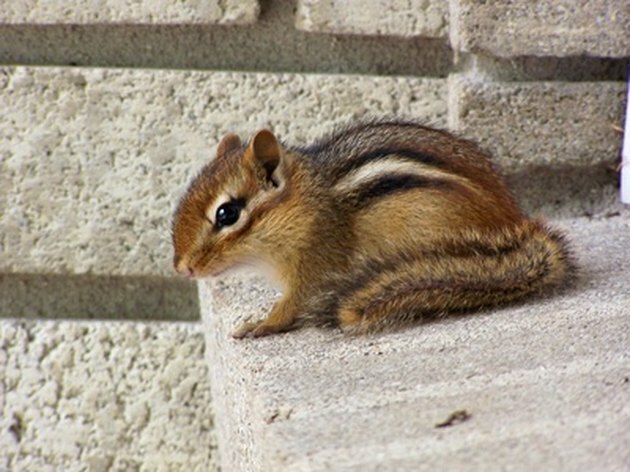 Chipmunks can be distinguished from squirrels by their stripes. The eastern chipmunk (Tamias striatus) is common to much of the U.S. They weigh about three ounces and are five or six inches long. Their most distinctive features are the black, brown and white stripes running lengthwise down their backs. 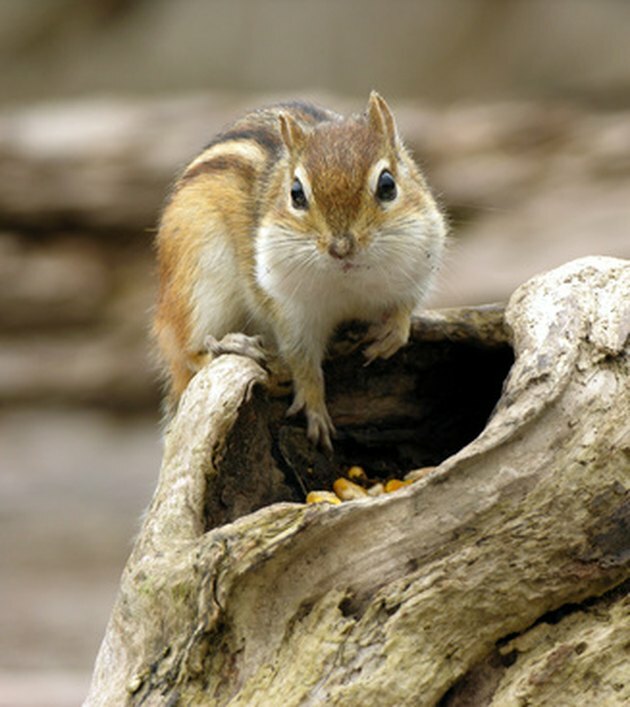 Chipmunks' burrows can damage landscape structures and building foundations. 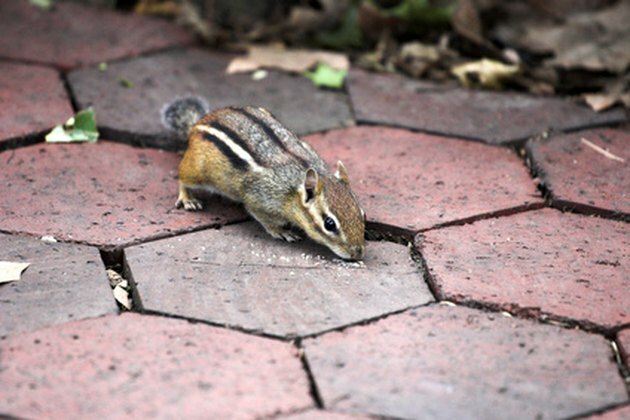 Chipmunks eat bulbs, fruits and young plants, but their most costly behavior is burrowing, which can cause structural damage to sidewalks, stairs or even foundations. 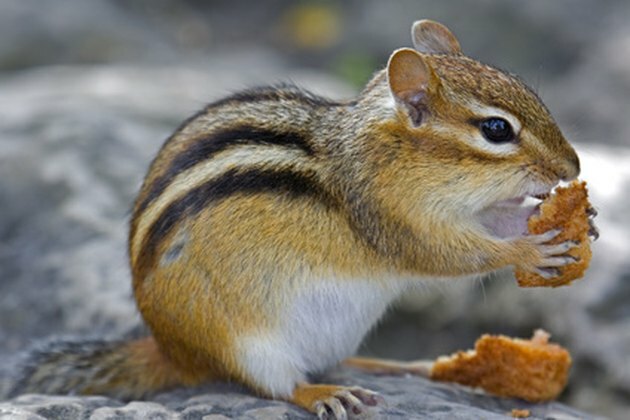 Biologists consider chipmunks a helpful part of forest ecosystems. 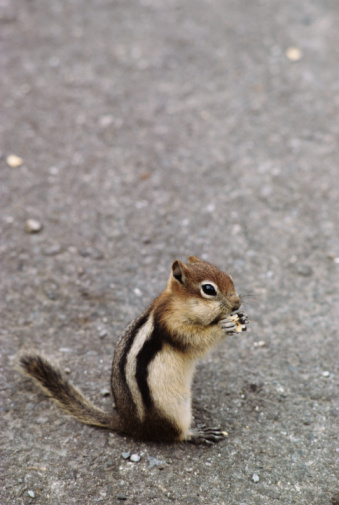 Chipmunks do not chew wood, so they are not a hazard to trees, porch posts or walls; only their burrowing causes damage. The Oregon State University Extension considers at least one species--Tamias townsendii--to be beneficial to woodland ecosystems. 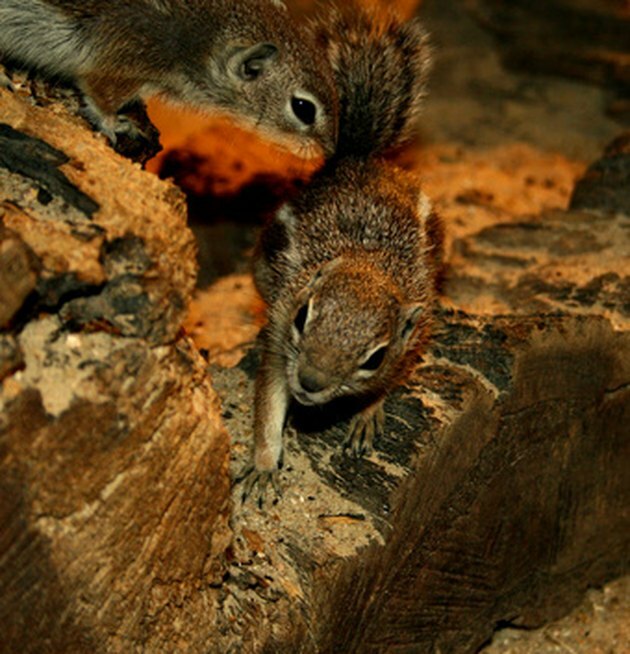 If chipmunk burrows are threatening your home, the chipmunks are probably overpopulated. If chipmunks have become a nuisance, contact your local agricultural extension agent. If burrows are extensive enough to damage your house, they are probably overpopulated for the habitat. Chipmunks will venture into your yard to eat spilled birdseed.